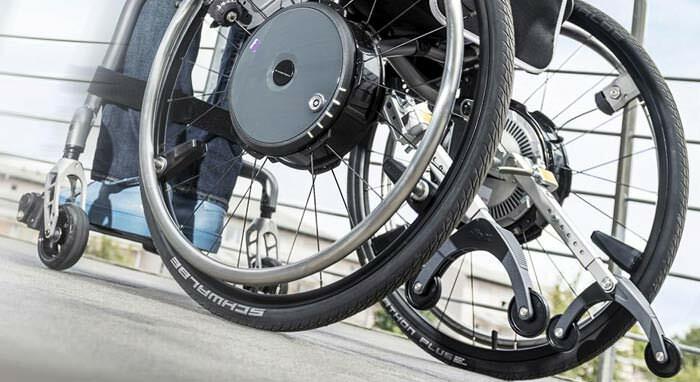 Nuprodx multichair 4000 roll-in-shower commode chair features locking caster wheels and locking cantilever arms that swing up to ease transfers. 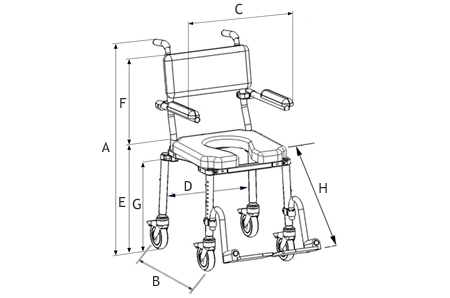 For those with caregiver assistance, Nuprodx 4000 shower and commode chair can be rolled right over a commode, before being rolled into a barrier-free shower. 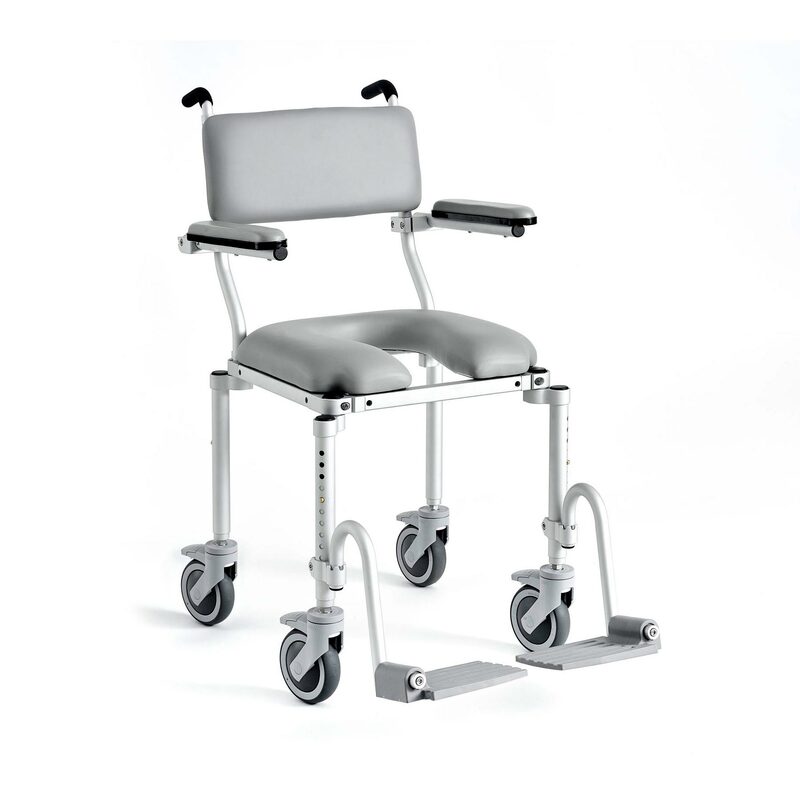 Multichair 4000 roll in shower commode chair has four 5" diameter casters that allow for easy rolling over most surfaces and flip-up cantilever arms that facilitate simple lateral transfers into chair. C. Overall width (chair only) 21"
D. Inside clearance (chair only) 14" - 17"
E. Floor to seat 21.5" - 25.5"
G. Seat frame to floor 18.5" - 22.5"